Jan. 31 (NBD) -- Chinese e-commerce conglomerate Alibaba Group announced Wednesday the earnings of the third quarter ended December 31, 2018. The titan generated 117.28 billion yuan (17.5 billion U.S. dollars) in revenue in the period, making it the first Internet company that reaped over 100 billion yuan (14.9 billion U.S. dollars) in a single quarter. Its profits soared 33 percent year over year to hit 30.96 billion yuan (4.6 billion U.S. dollars). The core commerce business was the major contributor for the revenue growth. Accounting for 88 percent of the total amount, the segment reported revenue of 102.84 billion yuan (15.3 billion U.S. dollars). 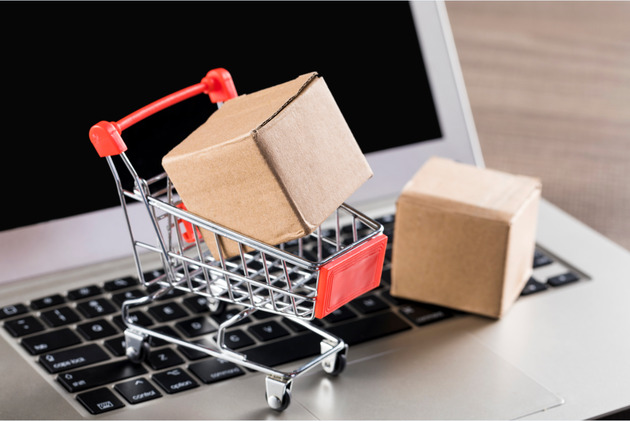 The Double 11 Shopping Festival on Tmall posted a record turnover of 213.5 billion yuan (31.9 billion U.S. dollars), and Cainiao received over 1 billion logistics orders on the day. As of the end of last year, the annual active consumers of Alibaba Group's Chinese retail platforms stood at 636 million, a net rise of 35 million from the previous quarter ended September 30, 2018. About 70 percent of the new annual active consumers are from third-tier or smaller cities, and such group is believed to drive up consumption. Earnings from cloud computing made up only 6 percent of the total but represented 84 percent surge compared to the same quarter of 2017, primarily driven by increased spending from enterprise clients. Despite the outperformance, the new report also indicated a downward trend of revenue growth rate. The revenue rise declined from 61 percent for the first quarter of 2018 fiscal year and 54 percent in the second quarter to 41 percent, which marks a two-year low. Besides, Alibaba Group's digital media and entertainment business maintained loss-making. Adjusted EBITA in the third quarter registered a loss of 6.03 billion (899.7 million U.S. dollars), up 173 percent from the period of the previous year. The giant attributed the expanding deficit to investments in the production of original contents and licensing rights and impairment charges on licensed copyrights. Alibaba Group considers the layout in the cultural and entertainment industry as a crucial part of the strategy to construct a consuming ecosystem. For streaming video platform Youku backed by the Group, the ongoing fierce competition with iQiyi and Tecent Video requires Youku to continue creating quality contents to keep up pace with its counterparts. However, the Group still underpinned the market confidence. Shares of Alibaba Group jumped 6.34 percent to close at 166.82 U.S. dollars in Wednesday trading.